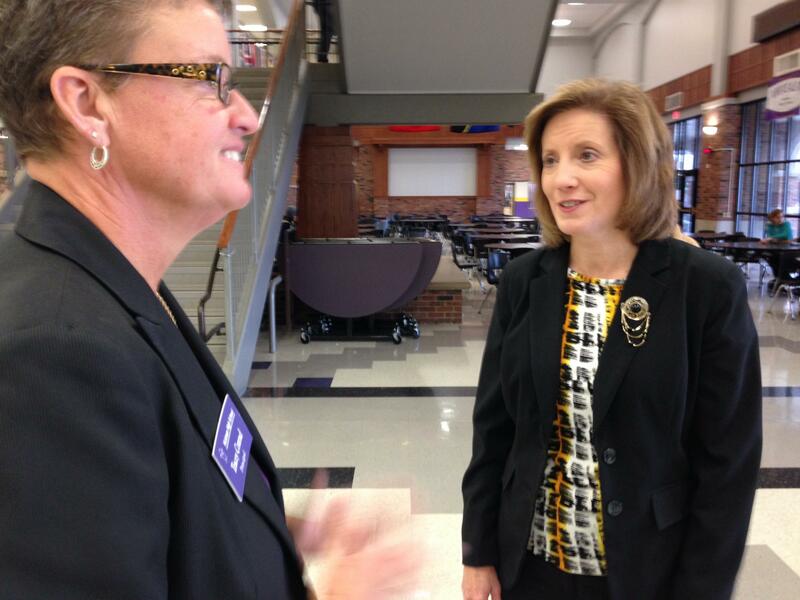 U.S. Representative Vicky Hartzler visited Hickman High School in Columbia on Monday. United States Representative, Vicky Hartzler (R), of the Fourth District was in Columbia Monday, Oct. 21, touring Hickman High School. The congresswoman spoke about the stalemate in Washington during the partial government shutdown. Hartzler did her student teaching at Hickman in the family and consumer sciences department when she was an education student at M-U, and on Monday she toured the career services wing. “I’m excited to meet some of the teachers and see some of the students here," Hartzler said. "And to visit about education because that’s still very near and dear to my heart." Hartzler was one of the House Republicans who voted against the Senate’s continuing resolution that ended the government shut down, but she said she is glad the resolution passed. “I was glad that there was enough votes that it was able to move forward," Hartzler said. "But I couldn’t cast the fourth district vote for it since there was no relief for Health Care law and it didn’t make any changes to spending." Hartzler said she hopes legislators will start talking now to avoid experiencing another shut down. She said the goal is to keep the government open and working.